The event was a venue to discuss prevailing issues and interventions to help poor farmers in fragile environments who are mostly susceptible to the ill effects of climate change. 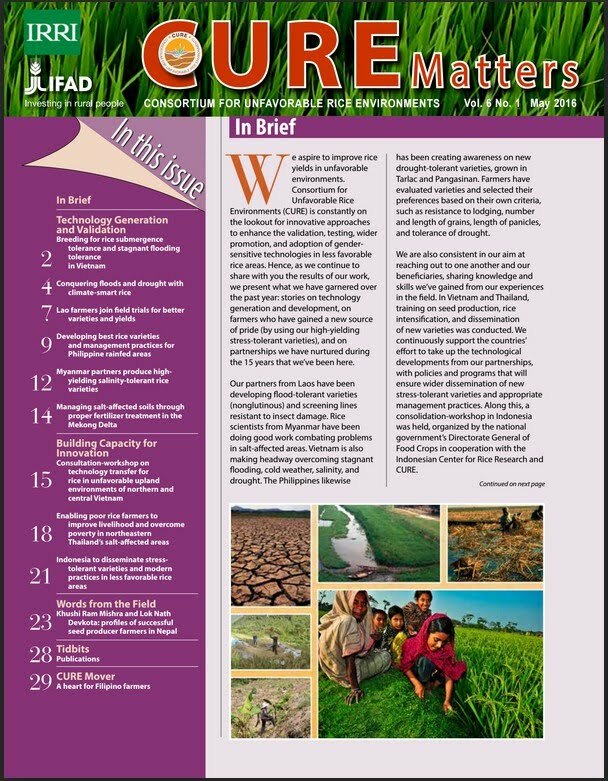 It was attended by some IRRI senior management, leading scientists, and key officials including rice department heads and senior scientists from 10 Asian countries: Cambodia, Lao PDR, Indonesia, Philippines, Thailand, Vietnam, and Myanmar, India, Bangladesh, and Nepal. Bringing the Green Revolution in marginal areas that are most susceptible to climate change. The first Green Revolution focused its efforts on making irrigated lands productive. But, increasing population and diminishing agricultural lands call for a vision of converting idle rice lands particularly those that are prone to drought, flooding, or saline intrusion, and the marginal uplands into green lands. The target is to be able to provide rice production that is bountiful enough to meet food requirement and be a profitable livelihood of smallholder farmers in Asia. Almost half of the rice areas in Asia are not irrigated but rainfed. These rainfed lands are home to about a hundred million poor farmers who depend on rice farming for their livelihood. These areas have low productivity (1.0 – 2.5 tons per hectare) and vulnerable to different forces of climatic changes such as drought that can reduce harvests as much as 40% or even more depending on severity or flooding that can wipe out all potential rice produce. These unfavorable rice areas also exist in the rice baskets of Asia—the Deltas, Red River, Northern Vietnam, in the Mekong Delta, SiaoPao, Ayeyarwaddy, among others. Since these rice baskets are susceptible to flooding and salinity, and even to drought, production in these areas will have an implication to global rice supply. 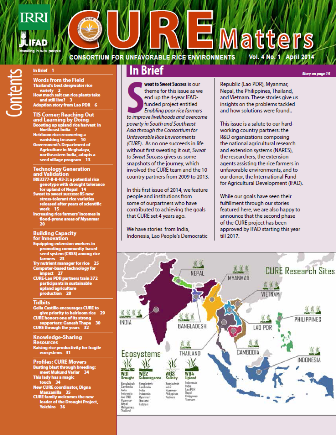 Are the technologies reaching the poor farmers in Asia? The commitment of and partnerships among the national governments and non-government institutions, through the CURE, have worked together in bringing climate-smart rice varieties, among other technological advances, to farmers. Through several technologies and interventions, CURE has created a difference in the lives of poor farmers who have adopted climate-smart varieties and appropriate management practices. 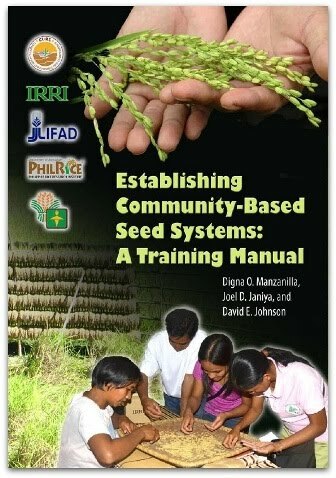 Now even rice farmers in marginal uplands, such as those in the Cordilleras are making their rice farming profitable. Their rice produce can command a premium price both in the local and international market. The second green revolution, which aims to include those that were neglected by the earlier Green Revolution, is here and continuing. Participants of the 15th Review, Planning, and Steering Committee Meeting of CURE. Know more about the schedule and directory of participants here. Dr. Wassman discussing climate-change efforts. Continuation of discussions, particulary Workgroup 5: Climate Change as headed by Dr. R. Wassmann. In the afternoon, planning activity per workgroup and meeting of the Steering Committee commenced. 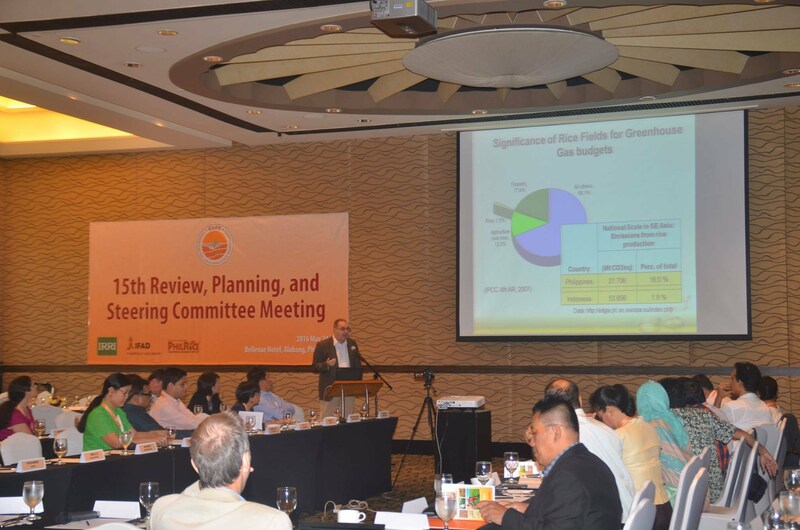 See photos: Dr. R. Wassmann WG5 Presentation .Know more about the schedule and directory of participants here. Participants and farmers on the mini-program before going on to the plots. 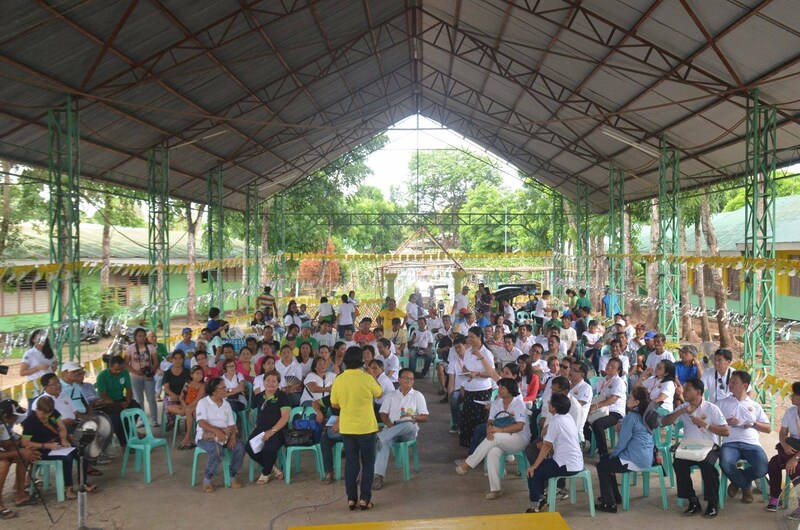 A field visit to farms in San Ildefonso City, Bulacan Province commenced. 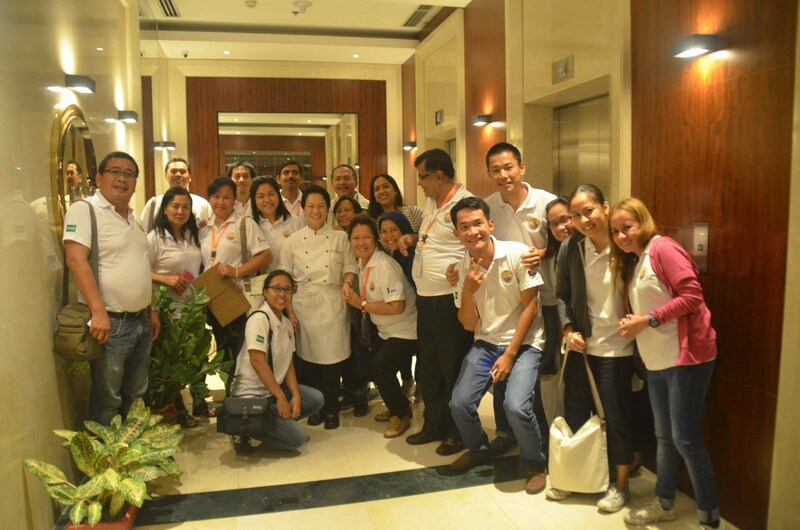 Later in the evening, participants were treated to a dinner featuring Heirloom Rice at Chef Jessie Sincioco's 100 Revolving Restaurant in Libis, Quezon City. See photos: Visit to farmers in Bulacan Province and Dinner featuring Philippine Heirloom Rice. Know more about the schedule and directory of participants here.